I had a great desire to become a pastry chef. 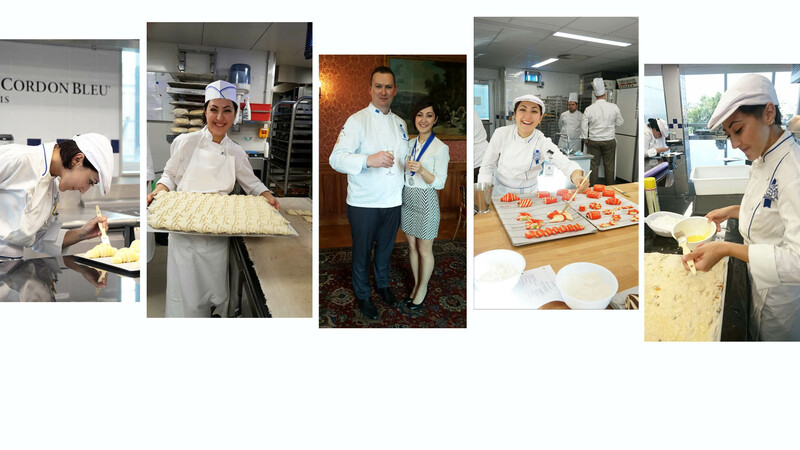 After I finished my Pastry Diploma in Le Cordon Bleu Japan, I realized that bakery is a complimentary field for pastry. I decided to study Boulangerie where I can learn from the best Chefs by using the high quality products, so I chose to come to Paris campus to study Boulangerie. After I finished my studies in Chemical Engineering, I worked in occupational safety and health field as an executive director for three years. Then I quit my job to fulfill my dream of becoming a pastry chef and I left for Tokyo, Japan. After my studies in Japan I continued in boulangerie in Paris. Following my internship I started to work for Hotel Plaza Athenée. I am enjoying every moment with my team. I have the chance to work with talented chefs in the same kitchen. I get used to being in Paris so quickly, I am still enjoying the city and willing to stay in the future. Always be observing and noting every detail during classes. Giving your full attention and doing what you are doing with all of your effort will pay off as experience and expertise in future. I would like to get as much experience as I can have and I would like to open an atelier in further future to share my knowledge with other enthusiasts.